2 How does a letter of explanation work? 4 Why do you need a letter of explanation? 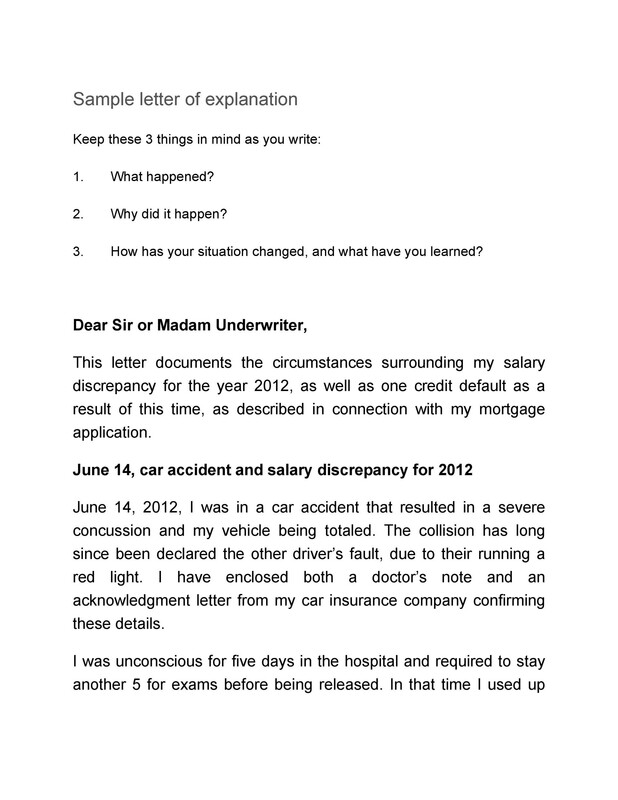 8 How to write a good letter of explanation? 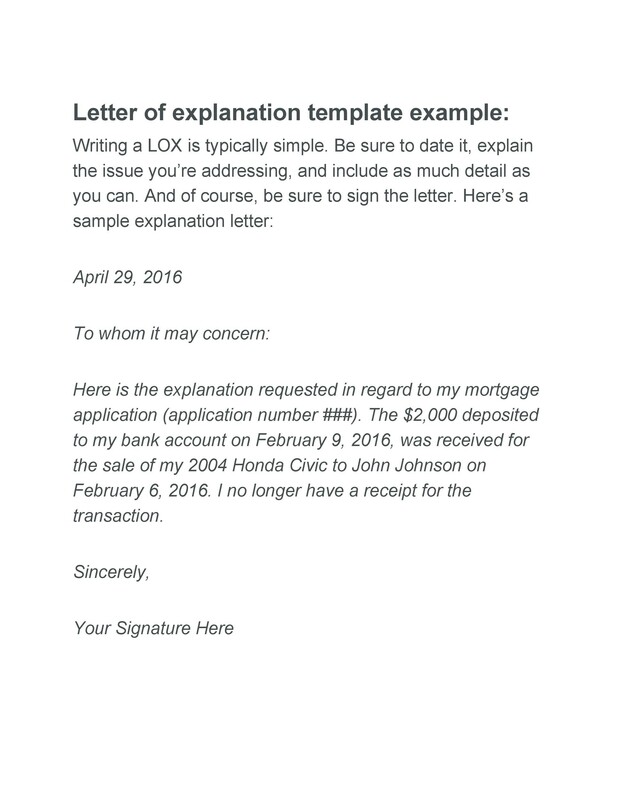 How does a letter of explanation work? 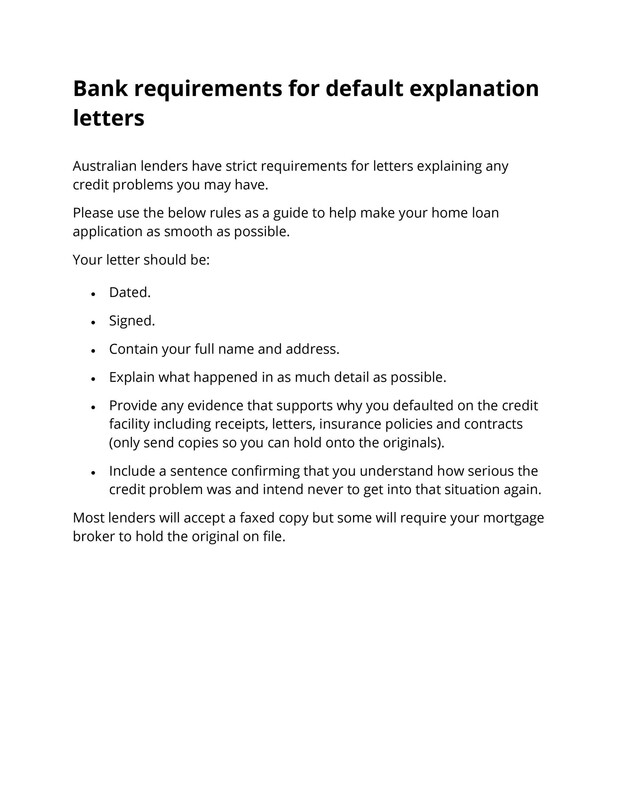 A letter of explanation is a short document you would send to a recipient such as a lender. 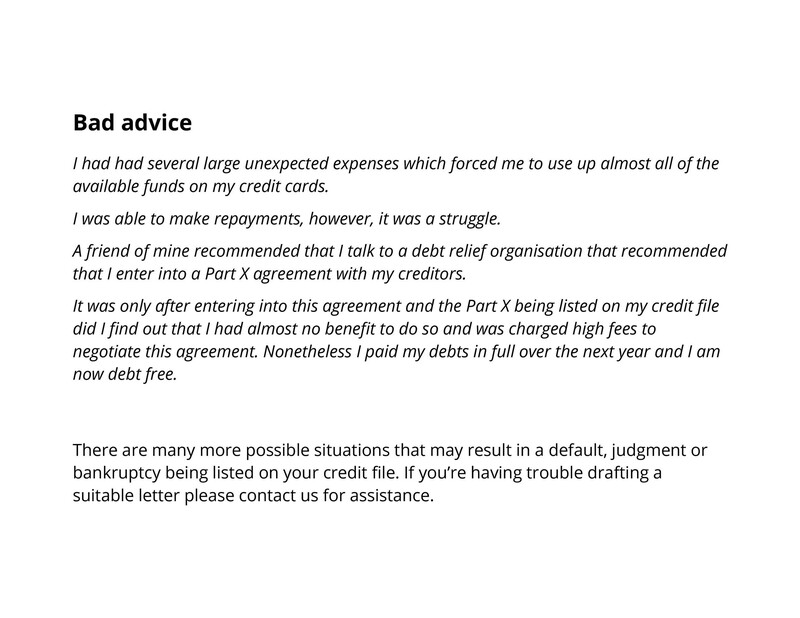 For instance, a lender may ask for a letter of explanation for derogatory credit before he allows you to borrow money. 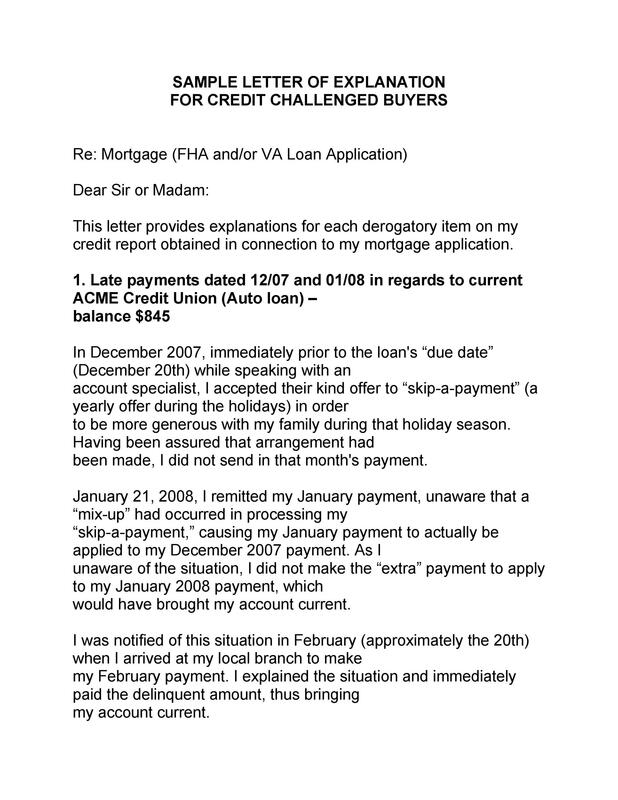 Sometimes, lenders also ask for a letter of explanation for mortgage to ask for clarification on issues such as insufficient funds charges on a checking account. 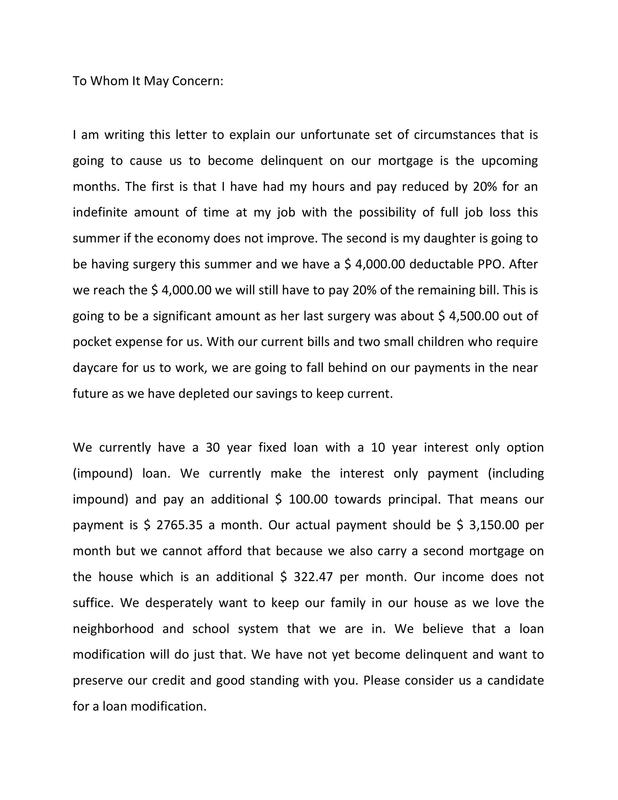 The letter will allow him to take note of any changes in your income, provide a rental history or any other topic which might need an explanation during the approval process of a mortgage. It’s the job of underwriters to prepare and approve loans for banks. To do that, they will review all of the documents you’ve attached to your application. 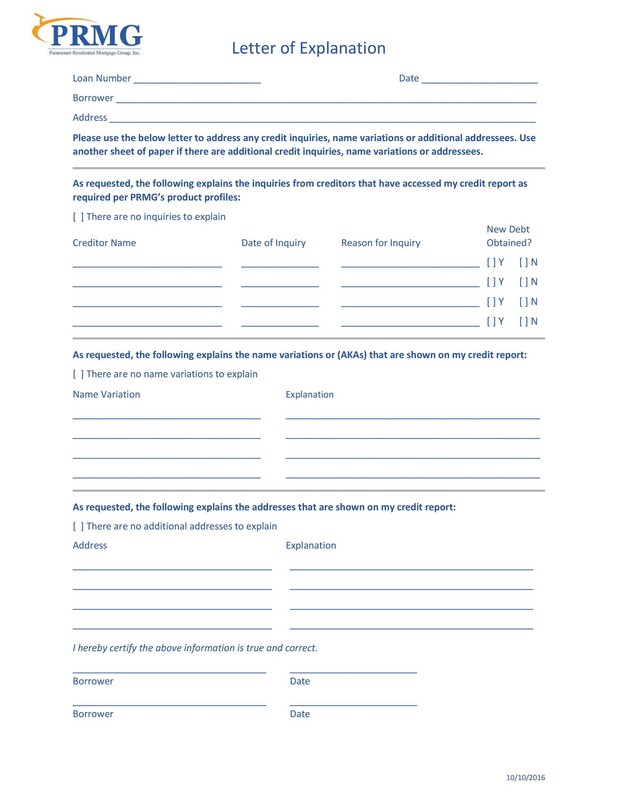 If there’s any missing information or if the underwriter has any questions about the documents you’ve submitted, he would ask you for a letter of explanation template to fill in the blanks. 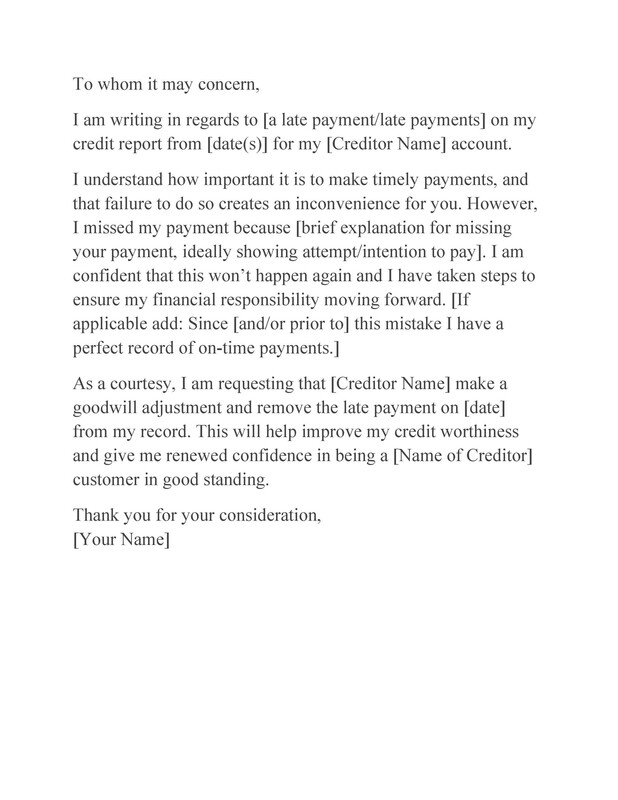 Such a letter can also be very useful for clearing up any contradictory information in credit reports such as the name of your employer, your present address, and more. You would receive an opportunity to provide an explanation. Simple as they are, these letters can be very effective and useful. 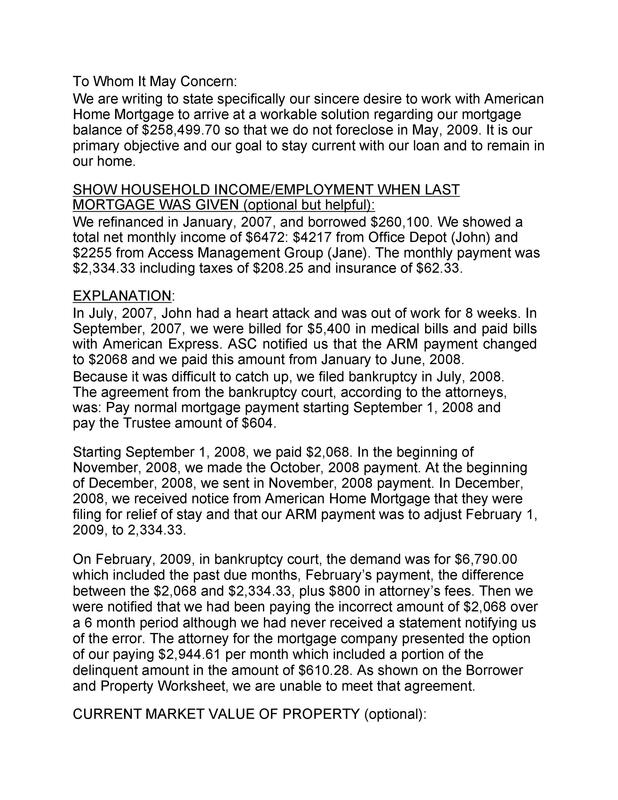 As previously mentioned, people known as underwriters assess your finances when you’re applying for a mortgage. 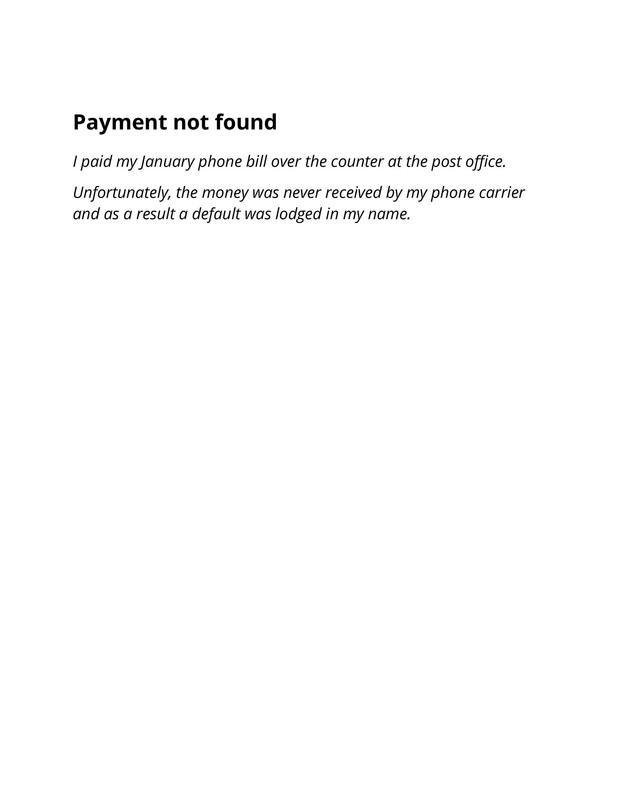 They would ask you to submit financial documents such as pay slips, tax returns, and more to provide a complete look at your current financial situation. Just like any other professionals, underwriters follow specific rules and guidelines. 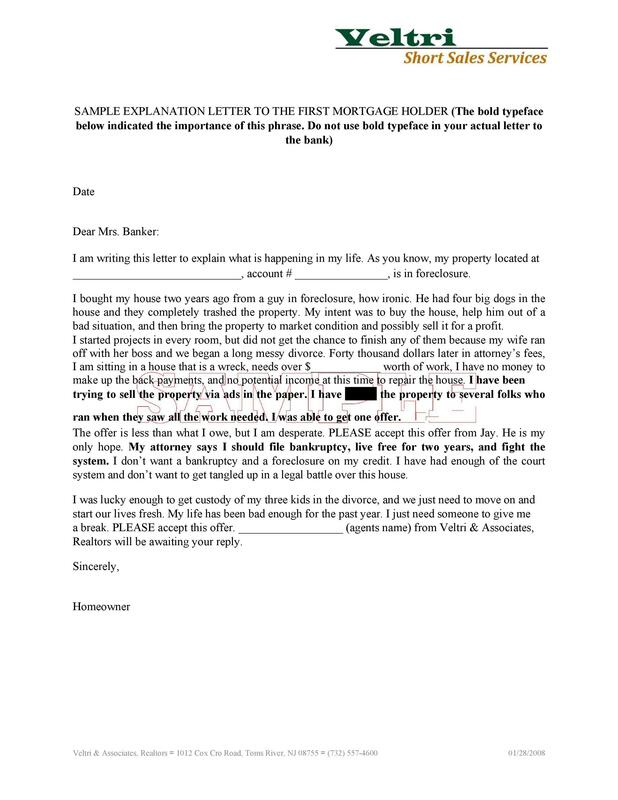 So if they discover something unusual from their assessment, they may ask you to submit a letter of explanation for mortgage. 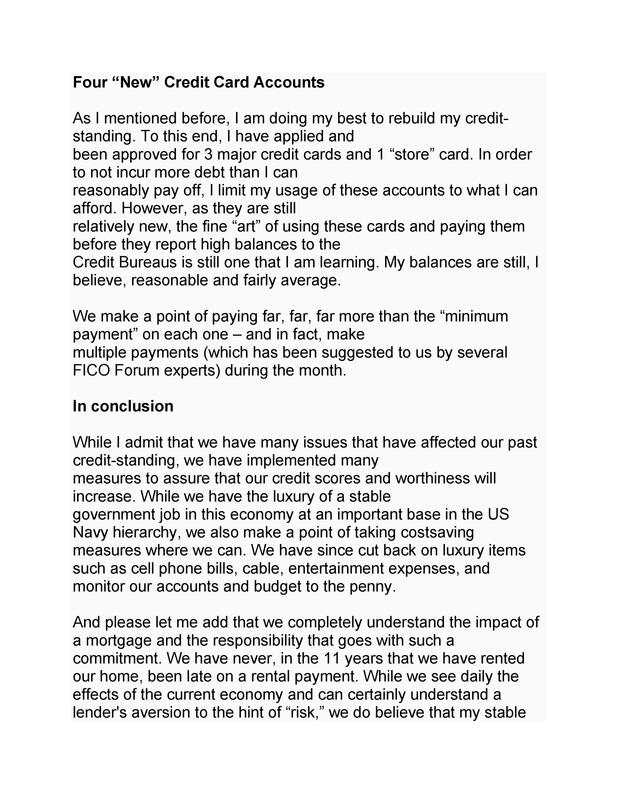 The explanation asked for can be as simple as late payments to something as big as discrepancies in your accounts. 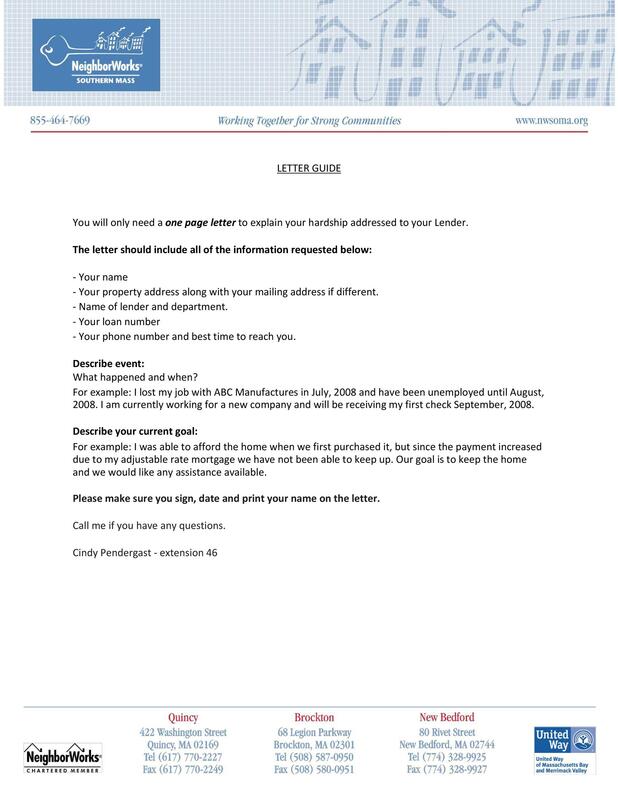 Any situation which may raise a flag during the review of your mortgage application process, you may have to provide this letter for clarification. 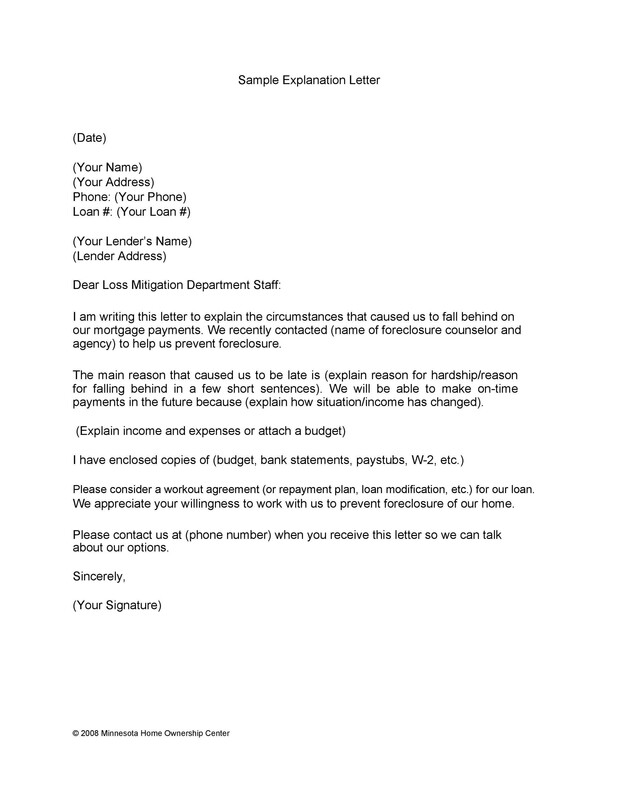 Aside from the letter, you might also have to provide other types of documents to support your explanation. 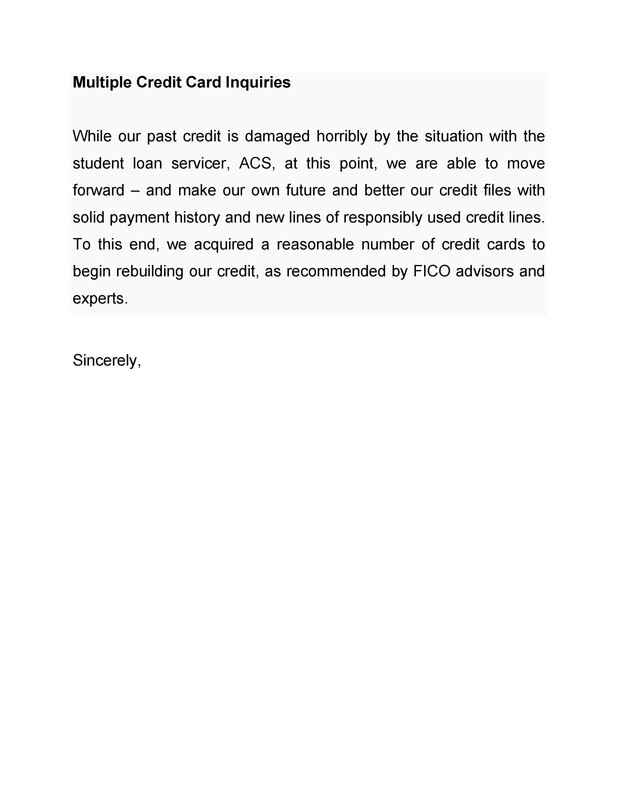 There is also something known as a letter of explanation for derogatory credit. 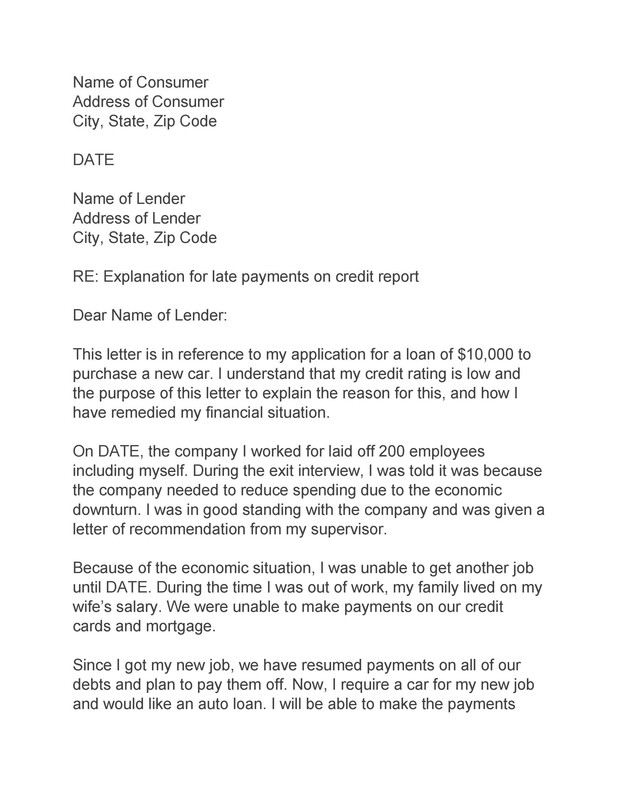 You have to submit this type of letter if there are any problems with your credit report. 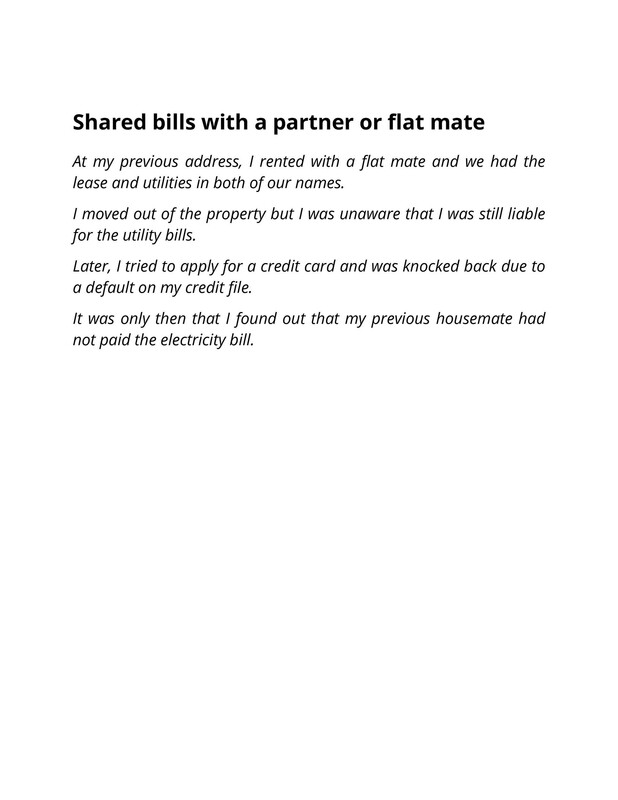 Most of the time, the issues are very minor such as a discrepancy in the personal information given. But if the issue is more significant, then you may have to provide a longer letter along with any required documentation. 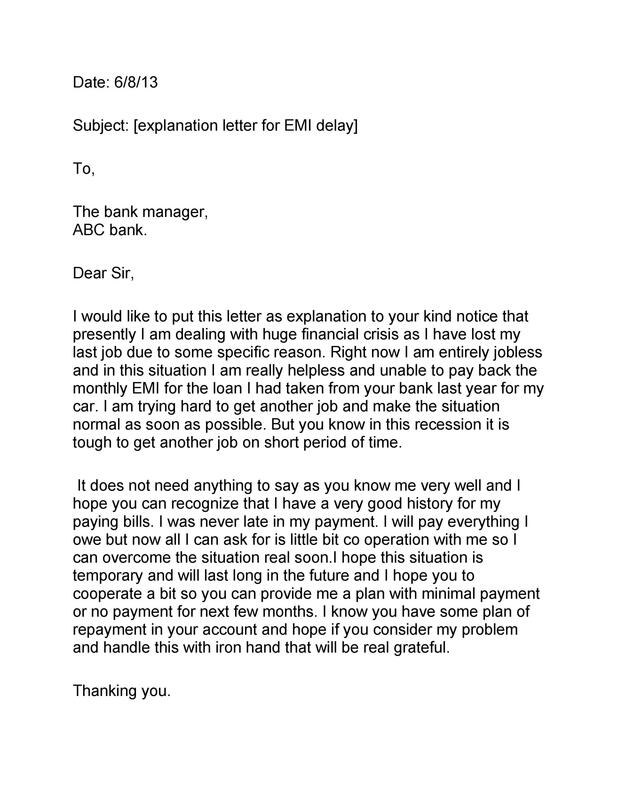 Some underwriters also ask for letters of explanation where there’s something in their client’s bank account which raises any question. For instance, if there was a radical change in your account in the past few months, you may also have to justify those circumstances. In other cases, an underwriter might want to ask for more information about your employment history, where you’ve lived in the past, and more. In short, there are different types of situations and circumstances wherein you would need to compose a letter of explanation. 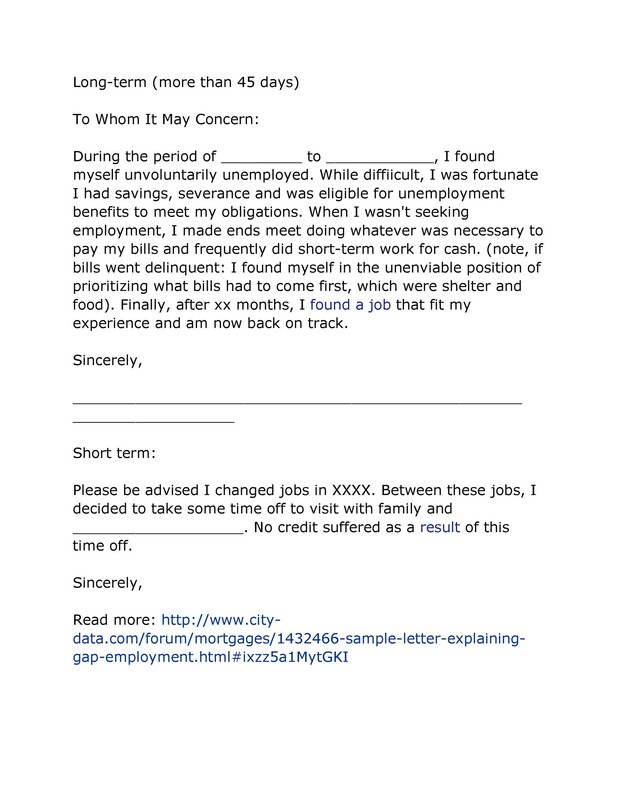 If it’s your first time to compose such a letter and you don’t know where to start, you can download this letter of explanation template. Use it as a reference or simply edit the content to suit your own situation. A lot of people would cringe at the mere thought of writing a letter. But when an underwriter asks for a letter of explanation, you don’t have to panic. Writing this type of letter doesn’t have to be too stressful. 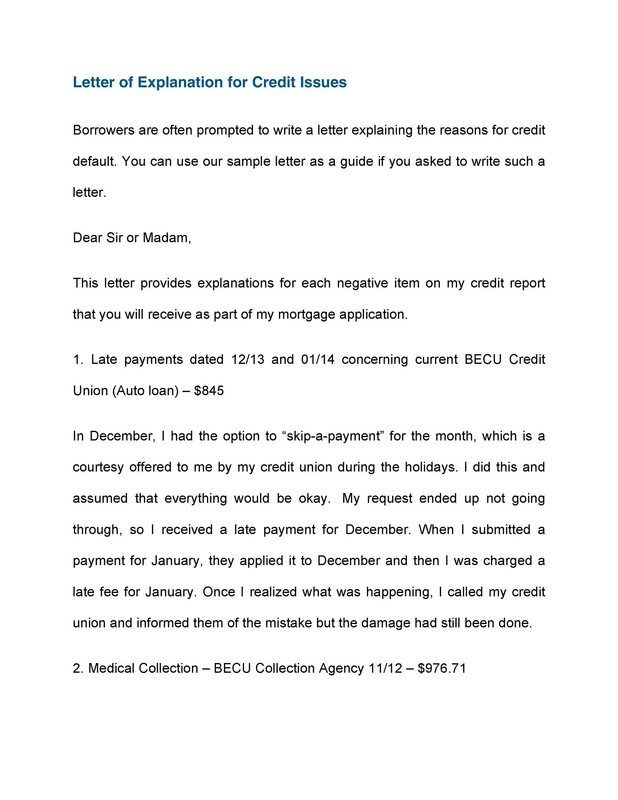 Keep in mind that the underwriter only requests for the letter so you can explain any unusual circumstances or issues in your loan application. 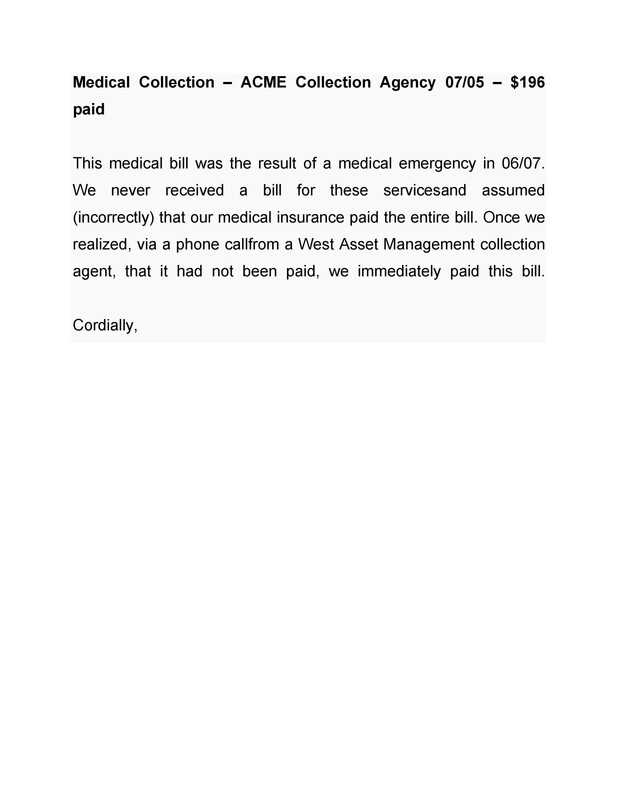 If missed work for a long period of time, you can attach a copy of your hospital bill to your letter. 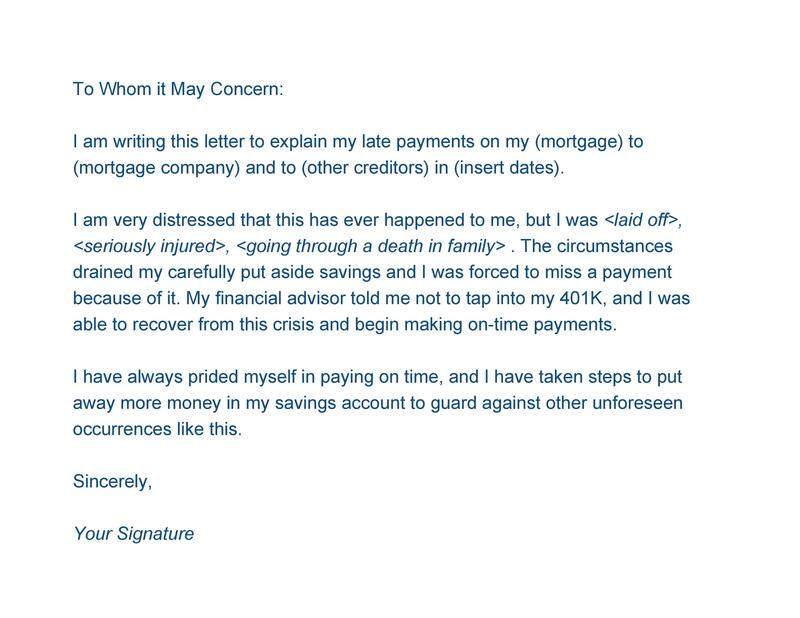 If you missed work because there was a death in your family, you can attach a copy of the obituary to your letter. 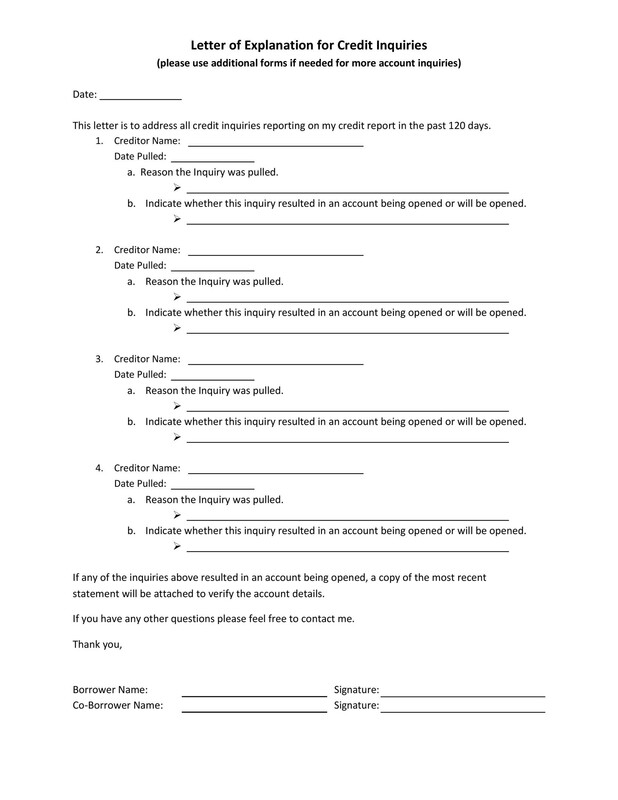 If you received an inheritance from one of your relatives and you’ve deposited it into your account, then send a copy of the check along with the letter. 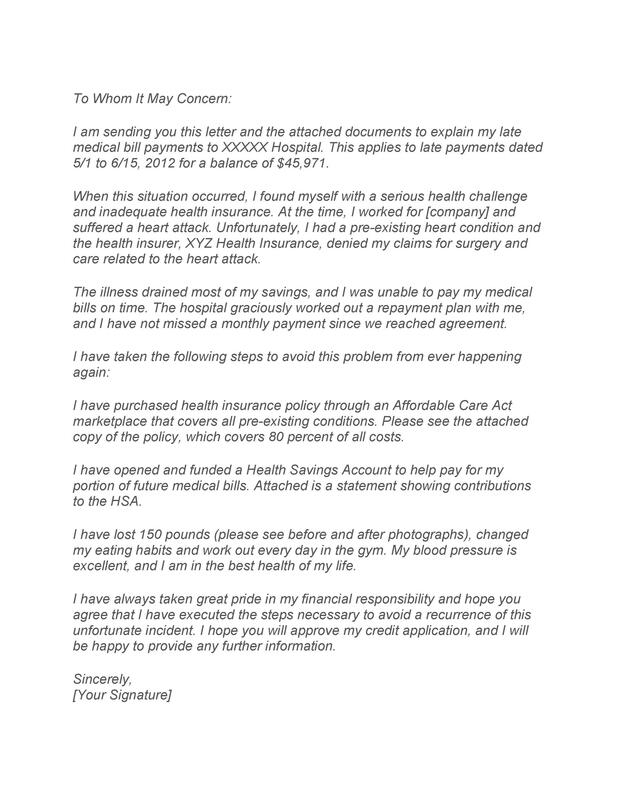 It’s important to note though that due to privacy laws, underwriters aren’t allowed to ask you for a letter from your doctor. So if you’re getting disability, they would just have to assume that it’s a permanent condition. They’re not allowed to ask if you’re getting disability temporarily. 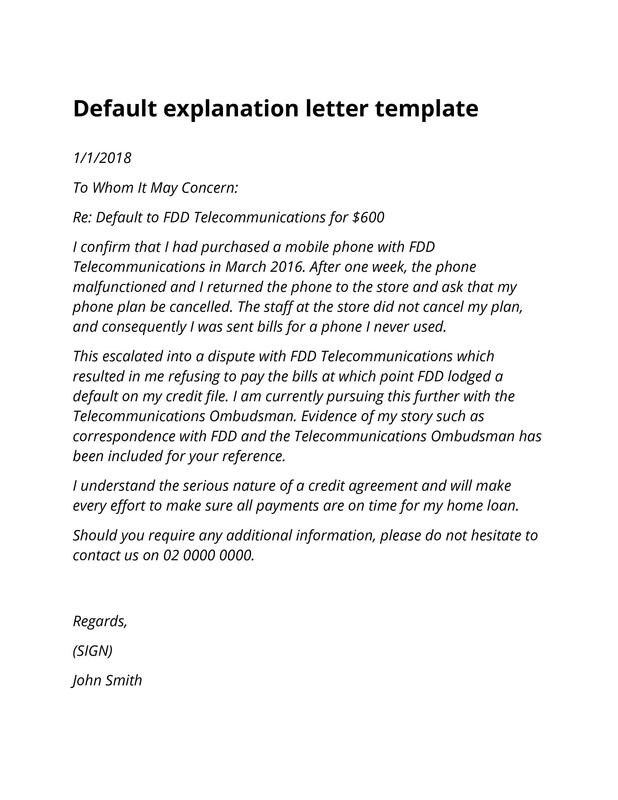 How to write a good letter of explanation? 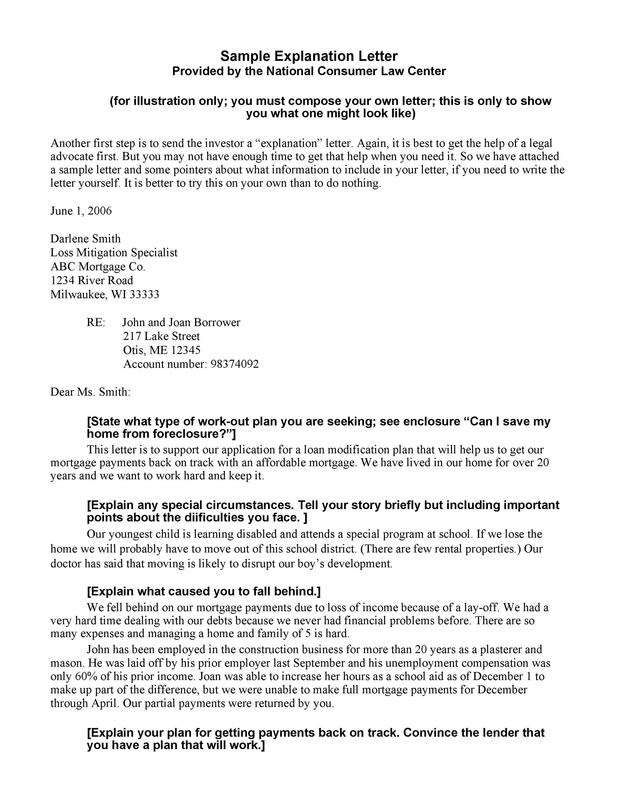 So, you received a request from an underwriter or loan officer for an explanation letter. For most people, they don’t know what to write in such a letter or why it’s even needed. 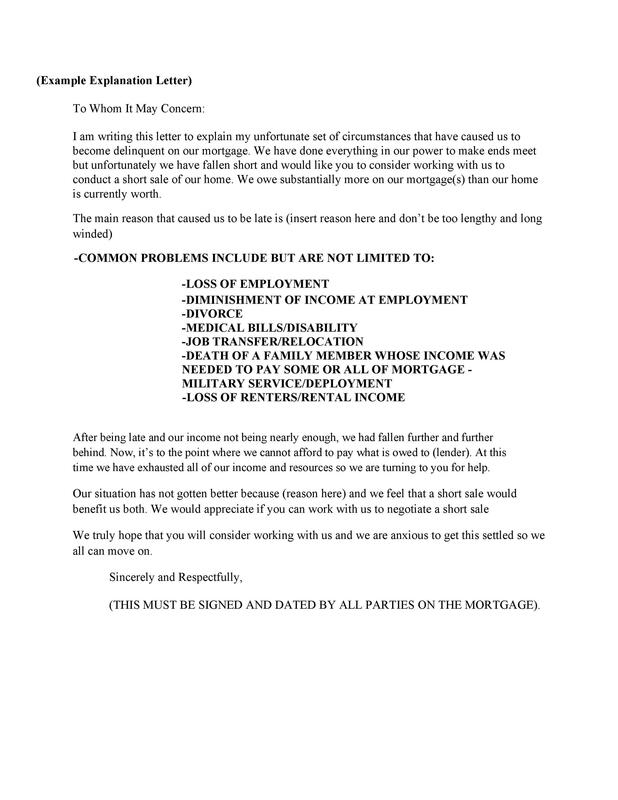 But this letter is an essential piece of supportive information which goes along with a typical mortgage application. 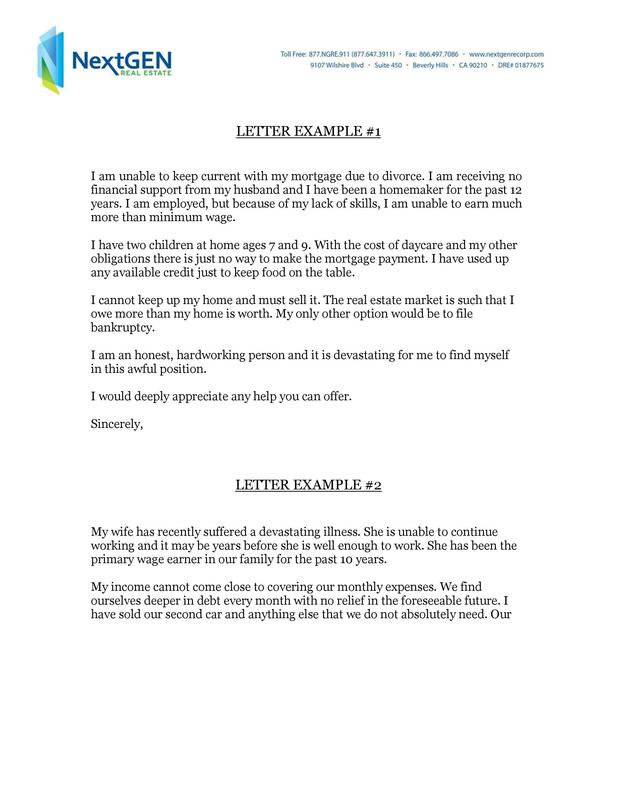 Because of this, you should make sure that you compose the letter thoroughly and accurately. It would be even better if you provide supporting documents along with your letter. 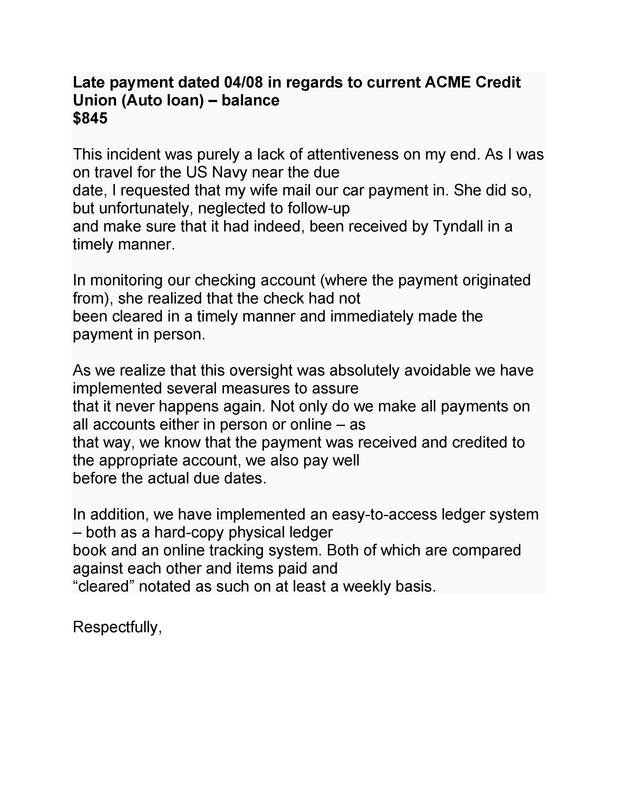 For instance, if the underwriter asks why there was a significant amount deposited in your account recently, you can explain that it came from your car’s sale. 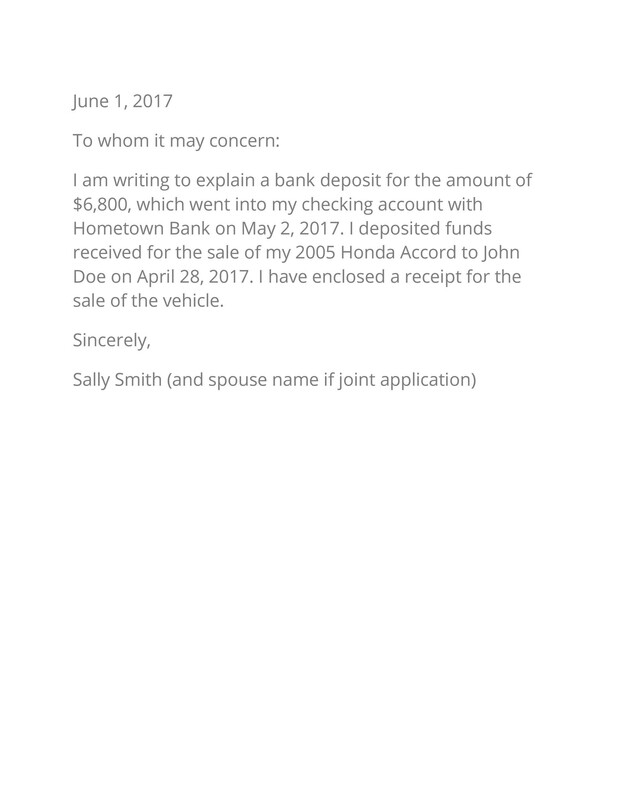 Along with the letter, you can include the sales receipt and other documentation which will support the contents of your explanation letter. 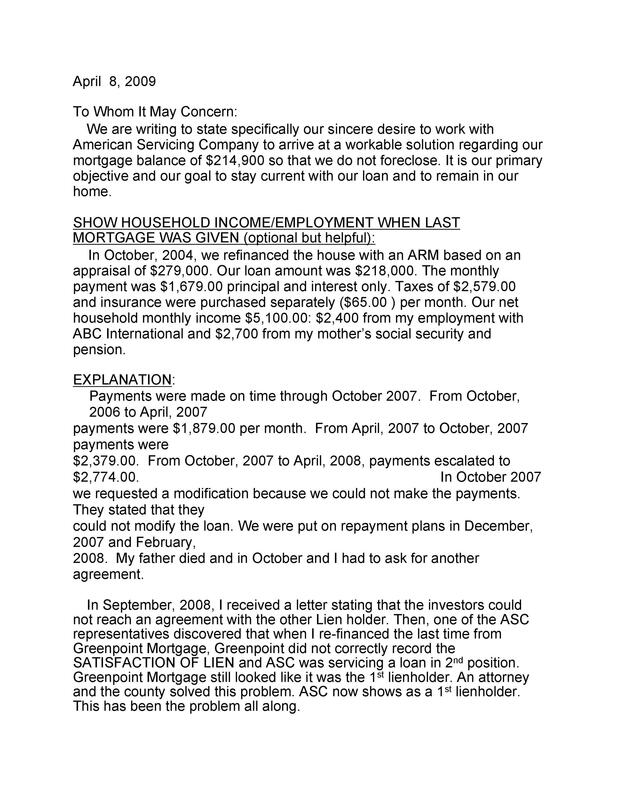 The people in charge of approving bank loans are the underwriters. 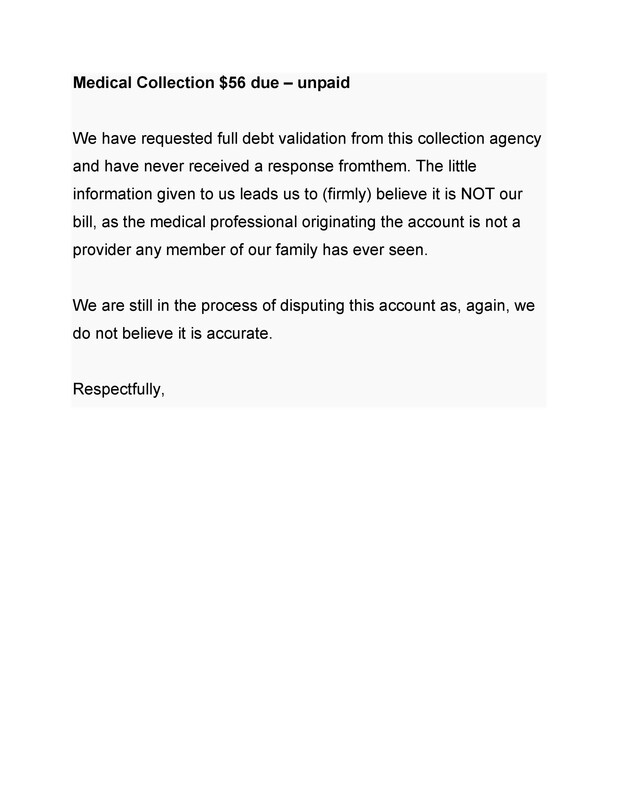 It’s their job to compare your financial documents with the guidelines as set by the bank. 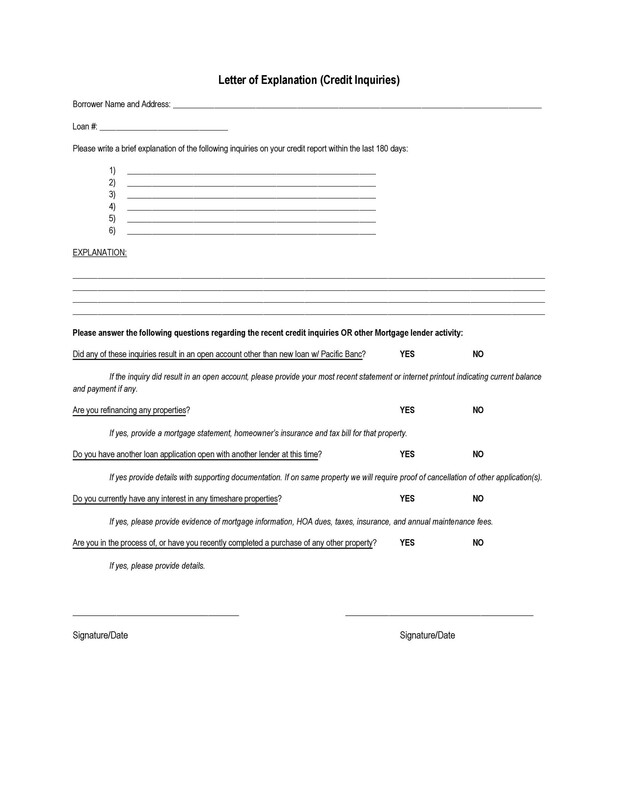 In doing this, they will determine whether or not you should get approval for the loan. 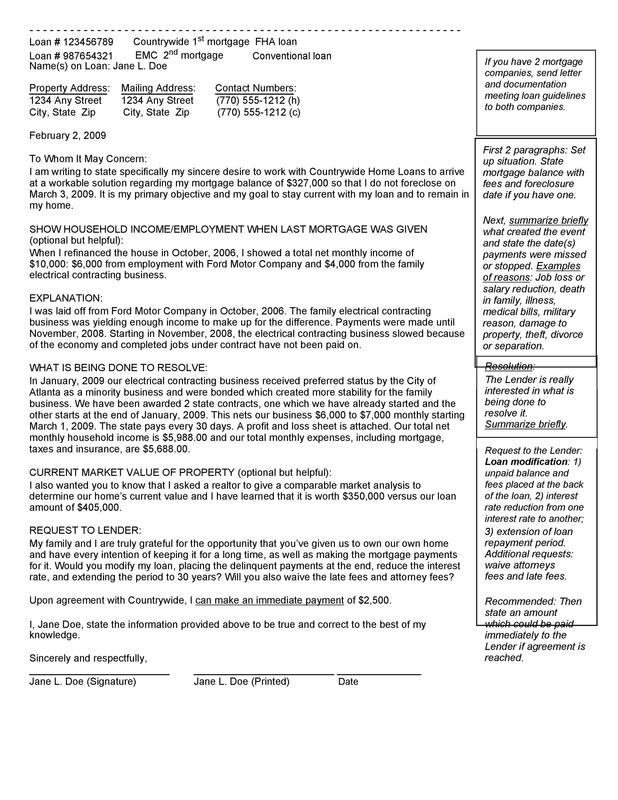 If there’s something unexplainable in your documents, the underwriter will ask for an explanation or a clarification for you to fill the gaps. 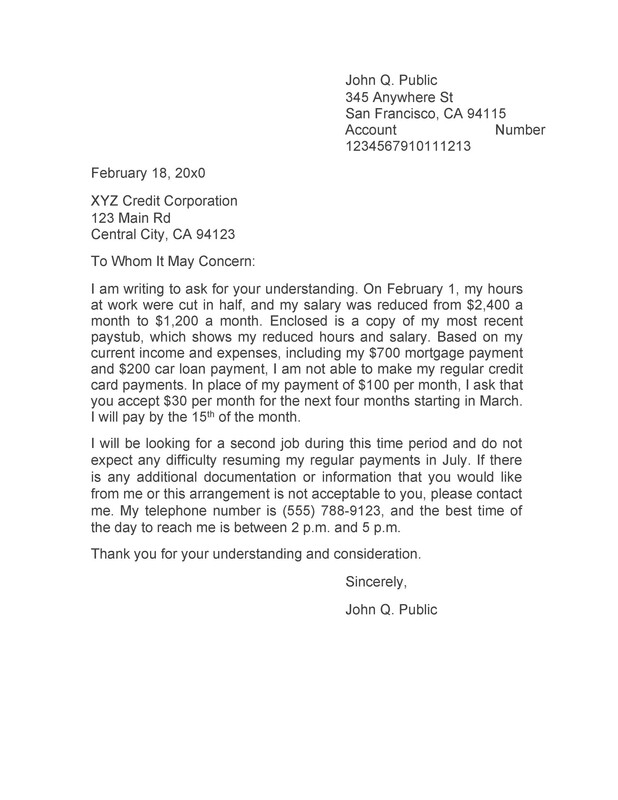 In some cases, you can think of the explanation letter as a type of sworn testimony. For instance, you lost a sales receipt or it somehow ended up getting destroyed. 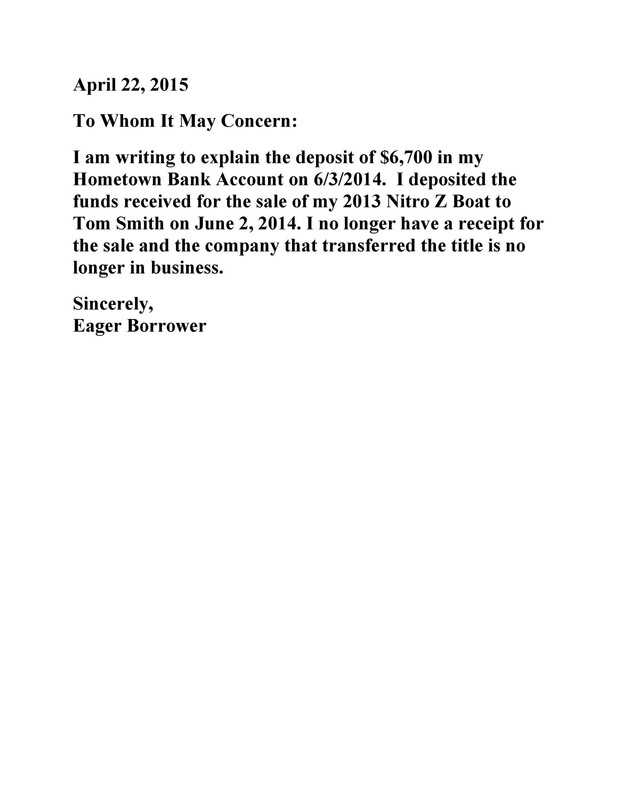 Although you can’t replace the receipt, some banks will accept your formal explanation letter to make up for it. 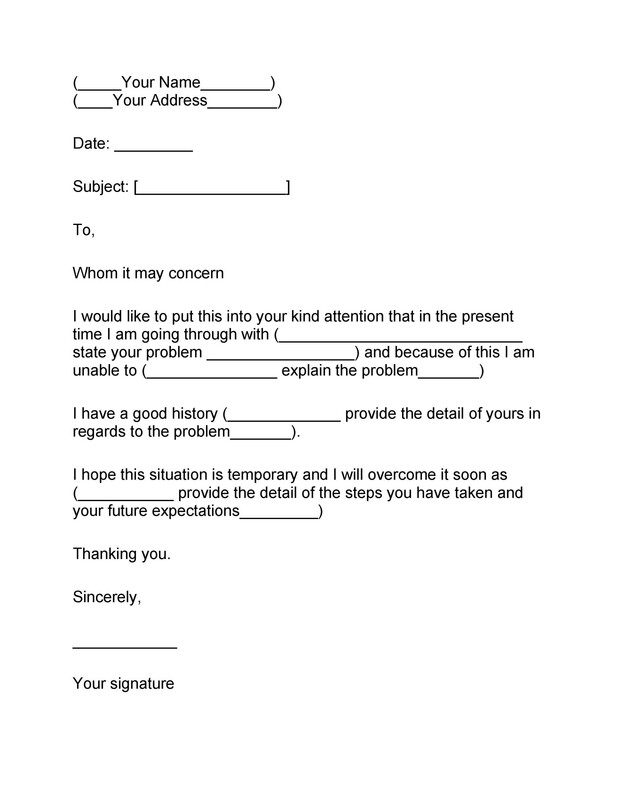 Begin the letter with the date, a salutation, and an introduction of the incident or issue. Provide a short but detailed description without having to add unnecessary terms and phrases. Provide an explanation of the steps you’ve taken to rectify the error or to complete the missing information. Highlight your current situation using only the facts. 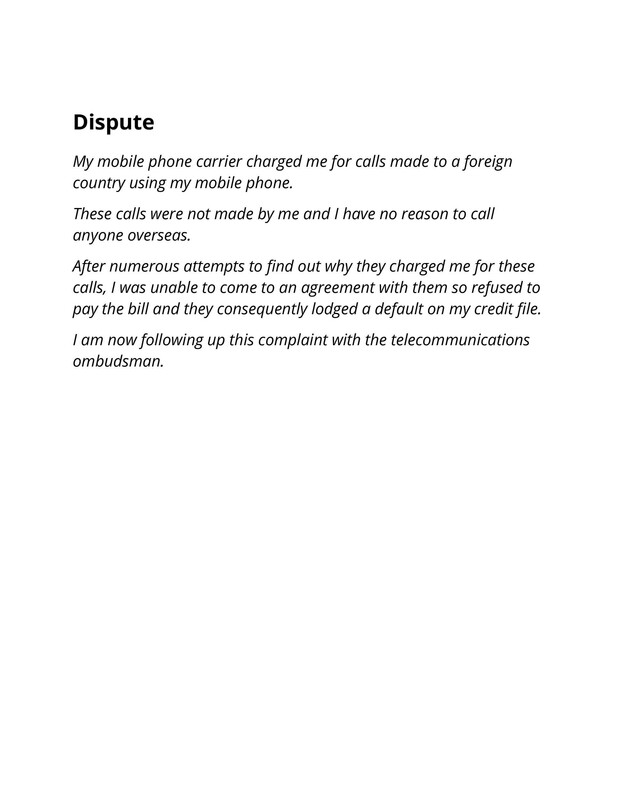 Provide an explanation of the possible outcome after solving the issue. 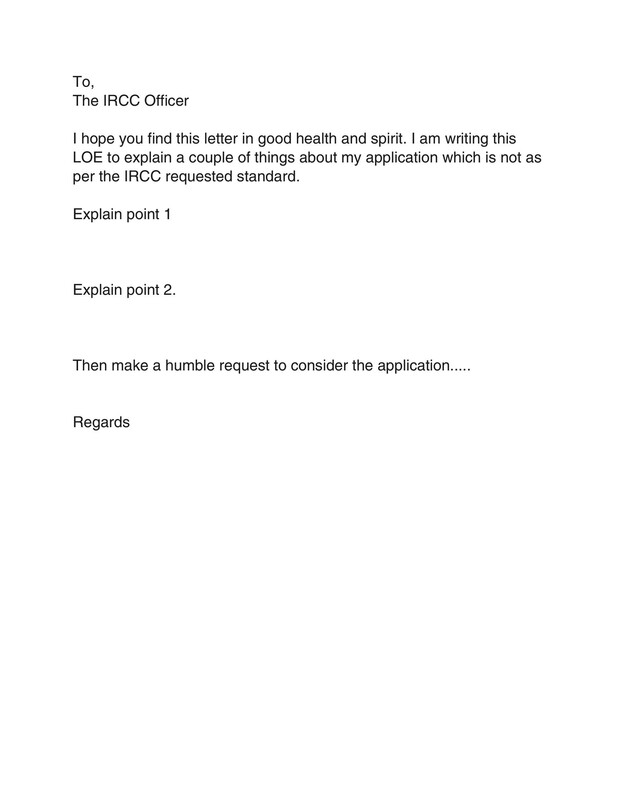 Only provide truthful and accurate information in the letter. Otherwise, you might get into trouble if they find out that the contents of your letter aren’t factual. When writing the letter, be as specific as you can. 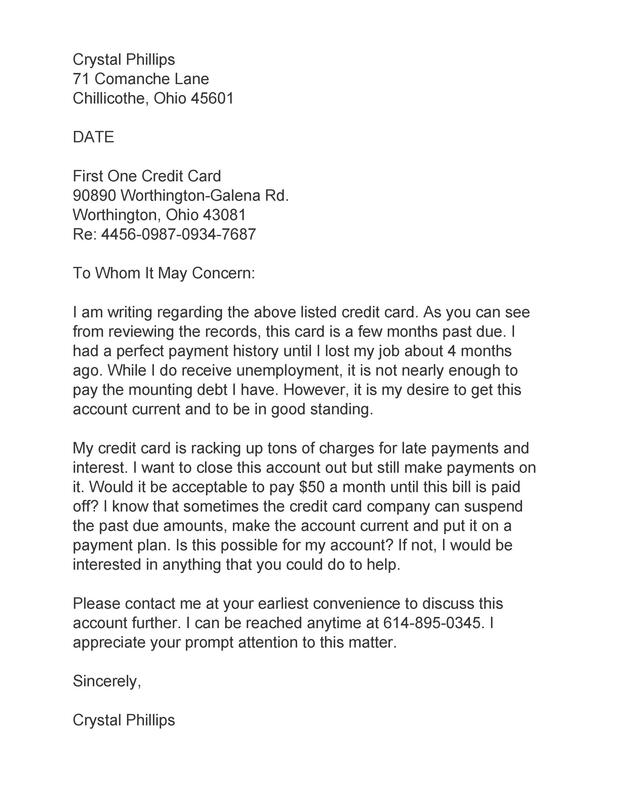 If needed, use actual dollar amounts and dates to strengthen your clarifications. For instance, if you’re making an explanation for a financial issue, describe all of the steps you’ve taken so the problem won’t arise again. 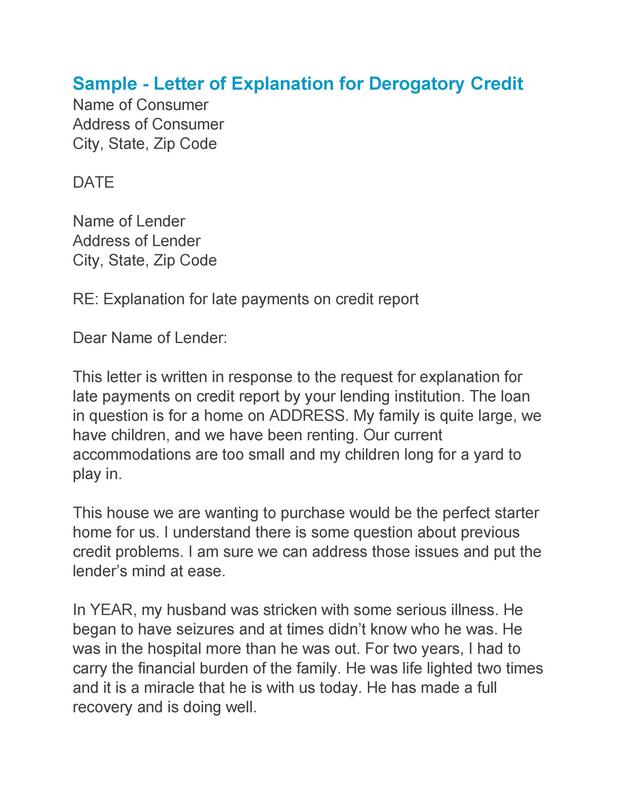 Remember that this type of letter can help the lenders make a favorable decision for you. But the letter won’t be the deciding factor. 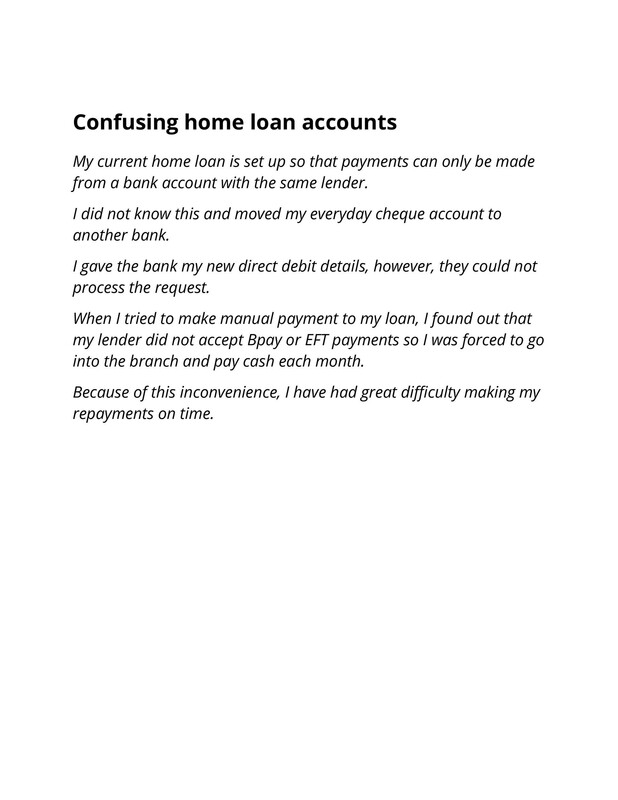 It will just help complete your financial picture for the lenders to understand better whether they should approve your application or not. 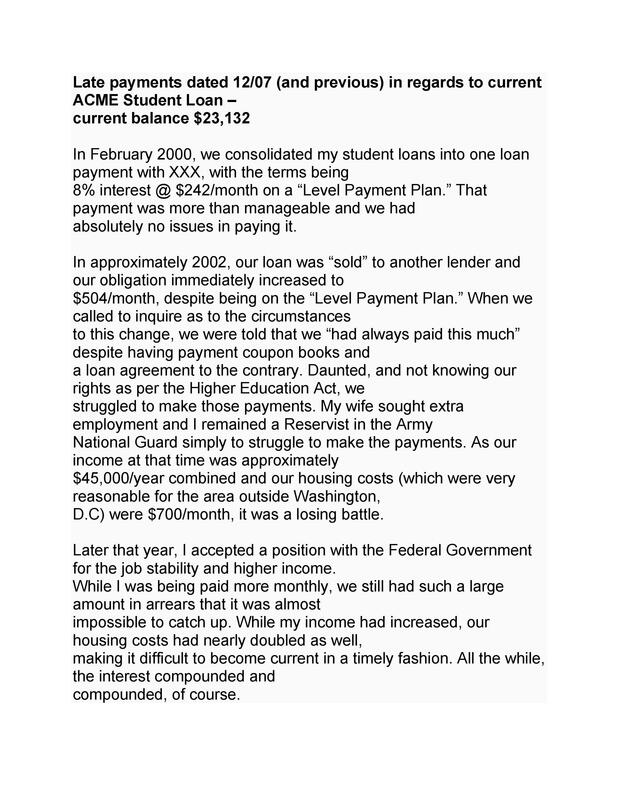 If you have any questions about the requirements or the need for the letter, you may ask any Loan Officer at your bank for guidance. As you compose the letter, don’t make it too lengthy. Usually, a couple of sentences would be enough to get your point across. Also, you don’t have to provide more information apart from what they requested from you. 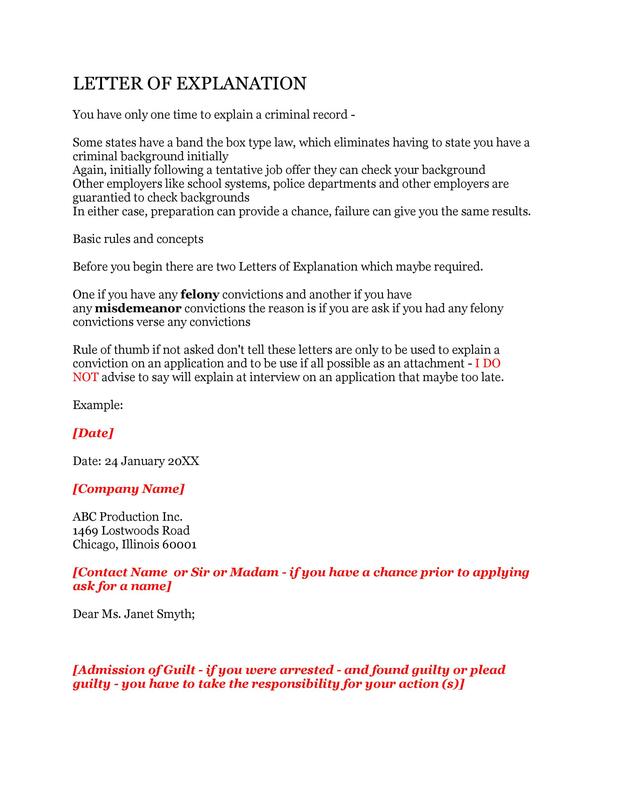 There are no “right or wrong” formats or answers for the letter. It’s merely an explanation of what they’re asking for. So, you don’t have to make anything up just to make the letter sound good.